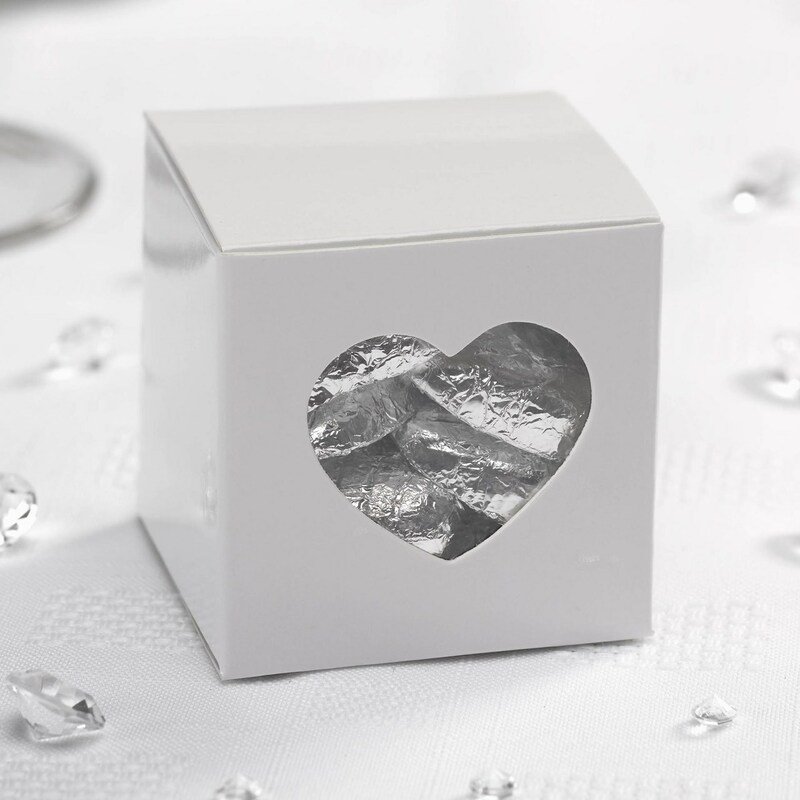 Beautiful, understated favour boxes, featuring a central heart cut-out. These white favour boxes make an elegant addition to your table décor, and look stunning against a backdrop of simple floral bouquets and crisp table linen. Fill boxes with foil-wrapped chocolates or sugared almonds – a lovely way to give your guests a small token of thanks for sharing your special day.